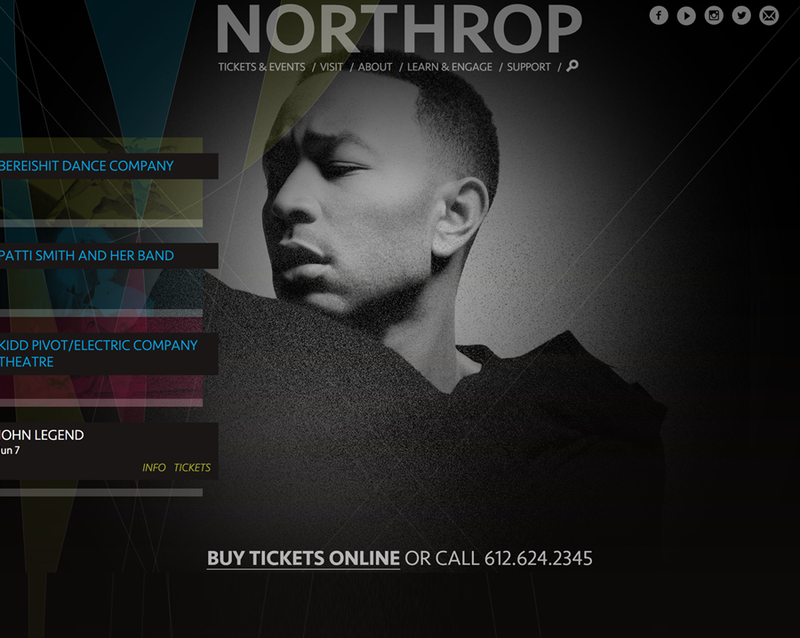 Our creative team collaborated with Northrop’s design department to apply their new logo and brand to a digital world. The result is a dramatic site that captures the bold and fluid performances that grace Northrop’s stage. 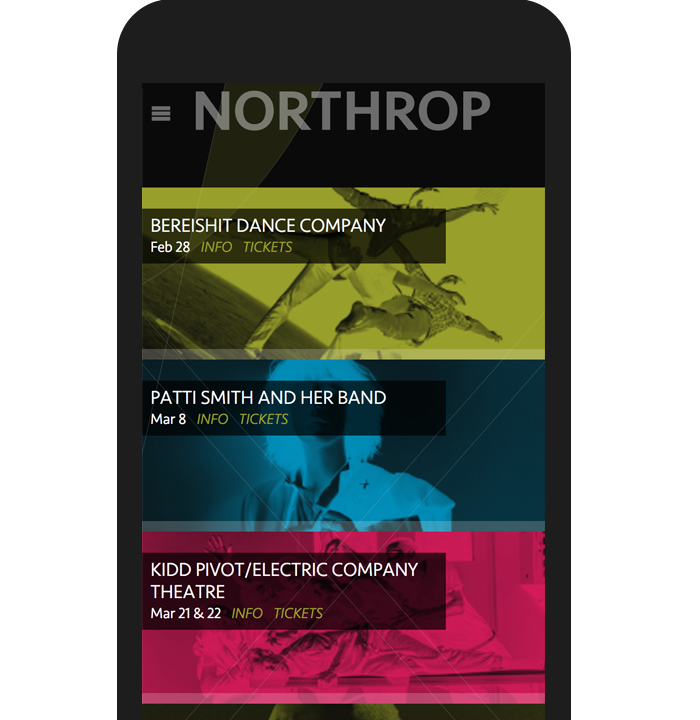 We also greatly simplified their existing site architecture, making it easier for users to accomplish their primary tasks—learning about events and purchasing tickets.